Coming-of-age stories typically follow a certain narrative. There’s the much-misunderstood teenager, who’s falling behind in school and faced with people who don’t believe in him. That is, until he meets one inspiring teacher who sees his potential and nurtures it, and leads the young Padawan to triumph — aceing his exams, winning a major competition, becoming valedictorian… so the tale goes. Interestingly enough, becoming a high-school dropout was the best thing that had ever happened to Aisbett. It led him into the world of cooking, and paved the way for him to open his restaurant, Whitegrass, in Singapore. 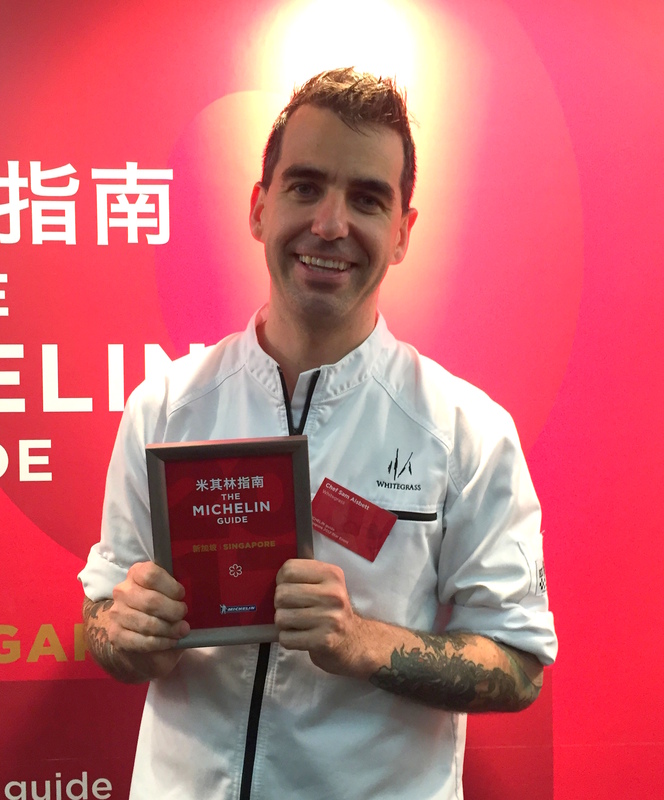 Last June, he bagged his first Michelin star. Born in Melbourne and raised in the Whitsunday Islands of North Queensland, Aisbett is the youngest of three children. The 34-year-old credits his mother for cultivating his interest in cooking. “My mum is an incredible cook. She’d cook Italian, Indian, Thai and Chinese dishes, so growing up, we were exposed to many flavours,” he said. As a child, helping his mother prepare meals in the kitchen was often the highlight of his day because he disliked school. “I’ve always found it difficult to learn if someone is talking and I’m just sitting there. I need to be hands on,” he said. While he didn’t have the support of his teachers when he decided to leave school at 15, his parents stood by him. They roped him in as an apprentice at his father’s butcher shop, where he made sausages and sliced meat. Aisbett found his new gig repetitive, and later joined Club Crocodile, a nearby resort, as a kitchen hand. This put him at the bottom of the food chain and entailed endless days of scrubbing dirty dishes and churning out greasy fry-ups. 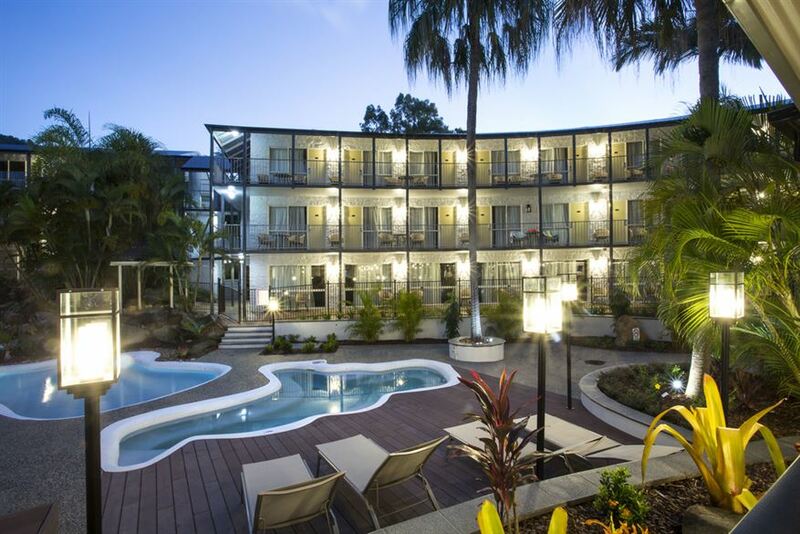 The hotel catered to backpackers and budget travellers, so one can expect its food to be far from gourmet. But Aisbett didn’t mind. He stayed on for two years because he liked its buzzy vibe, and formed friendships with its chefs. “I was this kid who had left school early, but nobody treated me differently,” he said. He had bigger dreams, though. 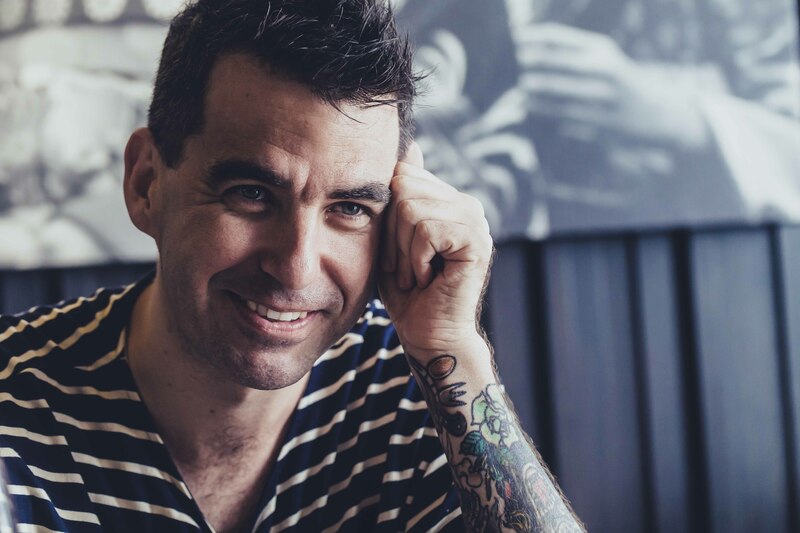 The next few years saw Aisbett working in restaurants across Queensland, Brisbane and the Gold Coast. At 20, he impulsively bought a plane ticket to London — which, as one of the world’s main gastronomic capitals and a hotbed for celebrity chefs, is pretty much where most aspiring chefs head to. He took on a commis role at Island Restaurant, a fine dining eatery that focused on modern English fare like rack of lamb and sea bream. 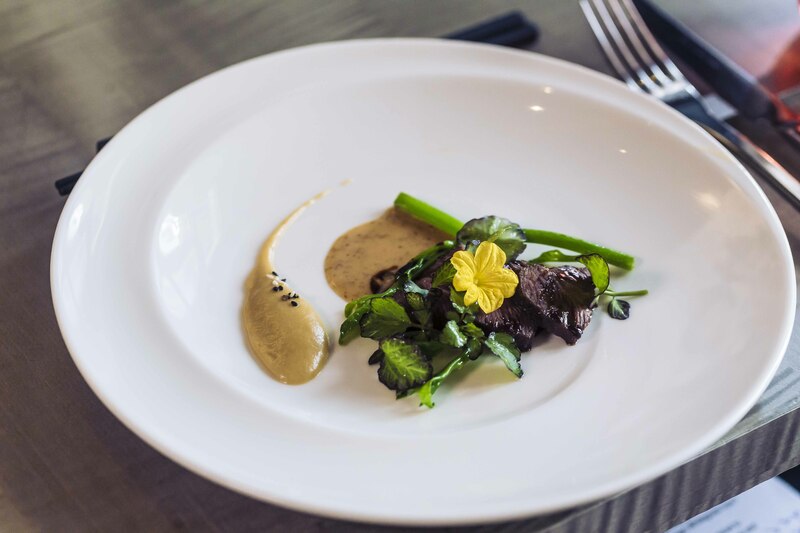 Its chefs relied on seasonal produce such as fresh morels, as well as game birds like pheasant. Determined to prove Diggins wrong, Aisbett showed up early for work the next day. But that wasn’t even the most challenging aspect of being at Island: He soon discovered how aggressive some of the other chefs were. “Everyone was fighting. People would burn your spoon and put it back, so when you grabbed it, it was red hot,” he said. Working there forced Aisbett to become tougher and bolder — key qualities to surviving London’s notoriously competitive culinary scene. And it paid off: He was promoted to junior sous chef within a year and a half. But homesickness eventually set in and he longed to return to Australia and its less stressful way of life. 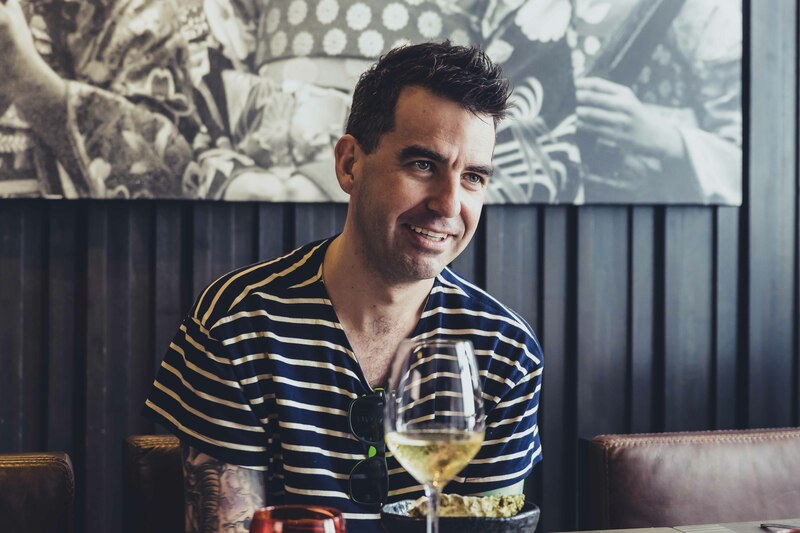 He left Island at the age of 22, and applied for a role at Quay in Sydney, a modern Australian restaurant headed by famed chef Peter Gilmore. 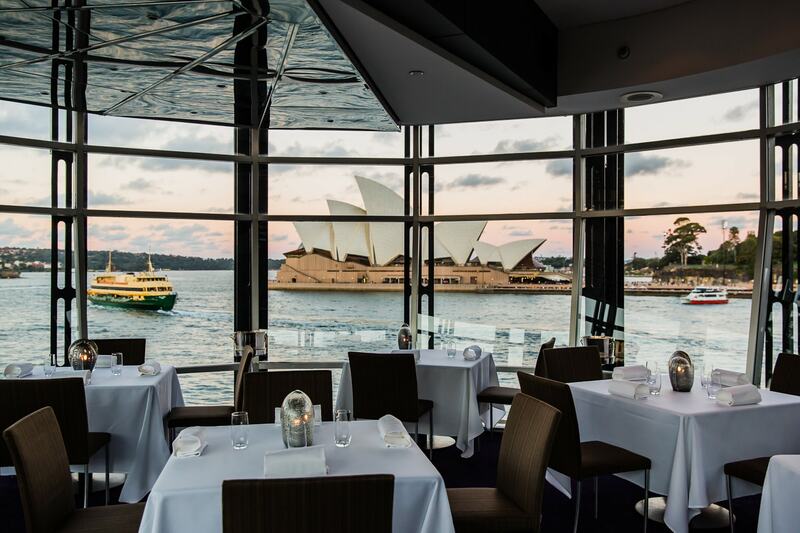 Equipped with glorious views of the Sydney Opera House and Harbour Bridge, the eatery was a rising star in the Sydney restaurant scene — it had received three Hats in The Sydney Morning Herald Good Food Guide (the city’s closest equivalent to the Michelin Guide, which it doesn’t have) for the past consecutive two years. This made it the perfect place for a budding chef like Aisbett to hone his craft. Little did Aisbett know that this eatery would later form an integral part of his cooking journey: He left it thrice for other endeavours, only to return again. (More on that later.) 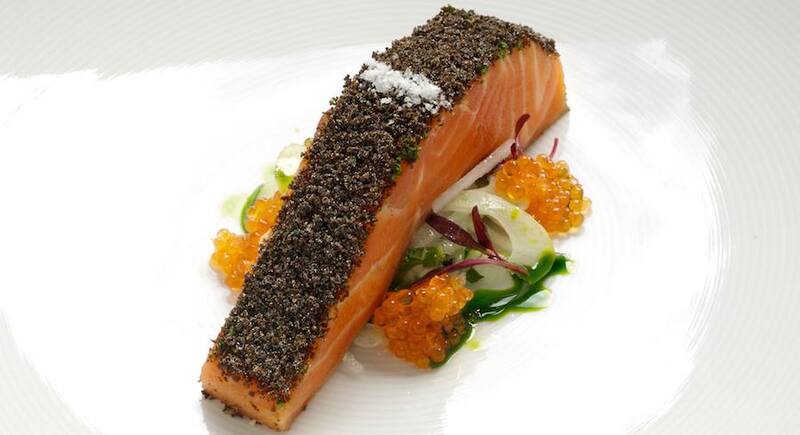 Quay would also go on to achieve greatness as one of the most bemedalled and respected restaurants in Australia. 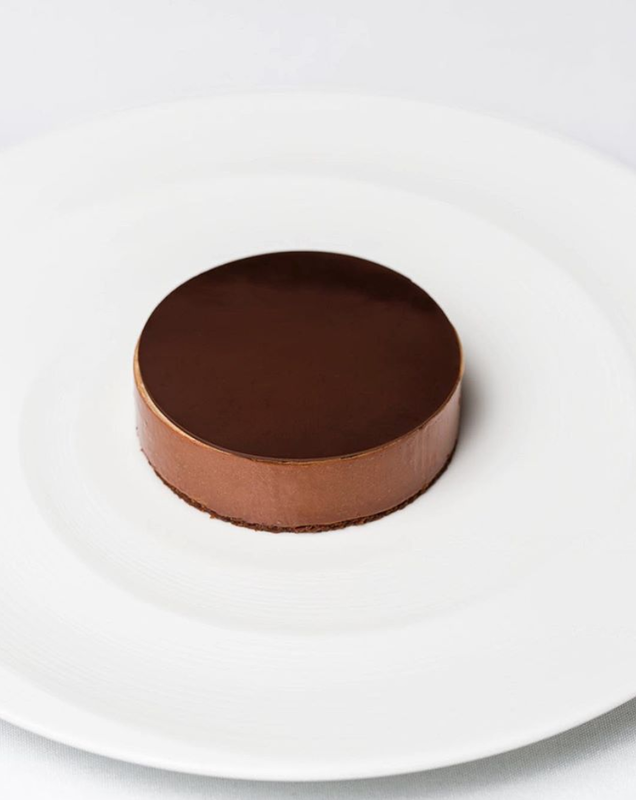 Aisbett started out as Chef de Partie, and mastered Quay’s signature dishes such as Sea Pearls — which comprised balls of different ingredients such as dashi jelly with abalone — and “five texture chocolate cake”, a chocolate cake topped with hot chocolate sauce. “Peter’s flavours were very different, with [an emphasis] on texture and thinking outside the box,” said Aisbett. Gilmore’s innovative recipes were undoubtedly Quay’s secret to success. The restaurant prospered over the following years, scooping up more accolades and becoming one of Sydney’s hottest dining venues. From a “quiet restaurant” serving 60 to 70 patrons a day, it transformed into a bustling spot that easily welcomed 100 covers during lunch and dinner, and eventually becoming consistently booked out. Despite enjoying his work at Quay and being part of its evolution, Aisbett was still restless and yearned for adventure. He resigned twice — the first time to return to London (which didn’t pan out, as his visa application was rejected), and the second, to work in Hong Kong. The latter didn’t materialise either, due to a lack of job opportunities, and he found himself back in Quay’s kitchen. “I loved Quay. I didn’t leave because I hated it; I just wanted to get out of [my comfort zone],” he explained. At 26, Aisbett finally got a chance to move — this time for real — to one of Australia’s top fine dining institutions: Tetsuya’s, run by renowned chef Tetsuya Wakuda. The restaurant has been in operation since 1989, and, from 1992 to 2010, was awarded three Hats consecutively. So it was only natural that Aisbett jumped at the opportunity to work there, when he saw it was hiring. He recalls being gobsmacked at the sight of Tetsuya’s “big, beautiful and structured” kitchen on his first day of work as sous chef. The restaurant’s façade and interiors were equally impressive. Housed in a heritage-listed site, with a traditional Japanese zen garden outside, it’s the very picture of serene elegance. Its degustation menu showcases Japanese flavours with French culinary techniques, with highlights such as Petuna ocean trout confit served with fennel and unpasteurised ocean trout roe. There, Aisbett picked up skills in incorporating Japanese flavours and produce in his own cooking style. 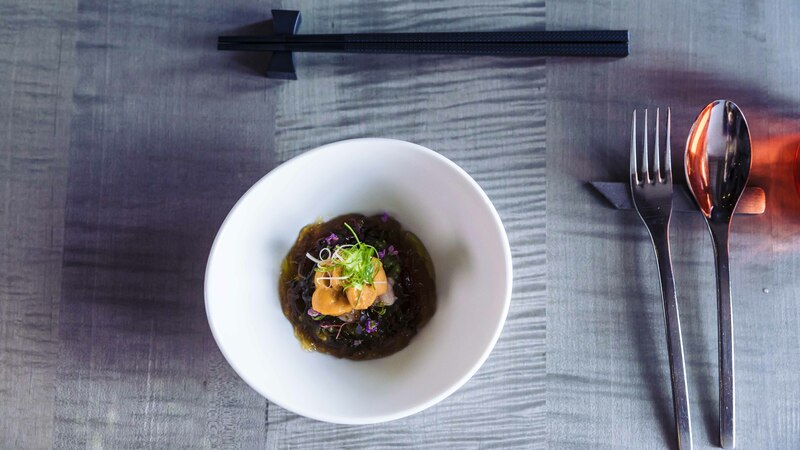 But what inspired him most was Wakuda’s unrelenting dedication to “respecting the ingredients” — even when it meant leaving most of a dish unadorned. Wakuda also operates the two-Michelin-starred Waku Ghin at Marina Bay Sands. Like any young and ambitious chef hoping to make his mark on the culinary world, Aisbett hoped to eventually run an eatery on his own. 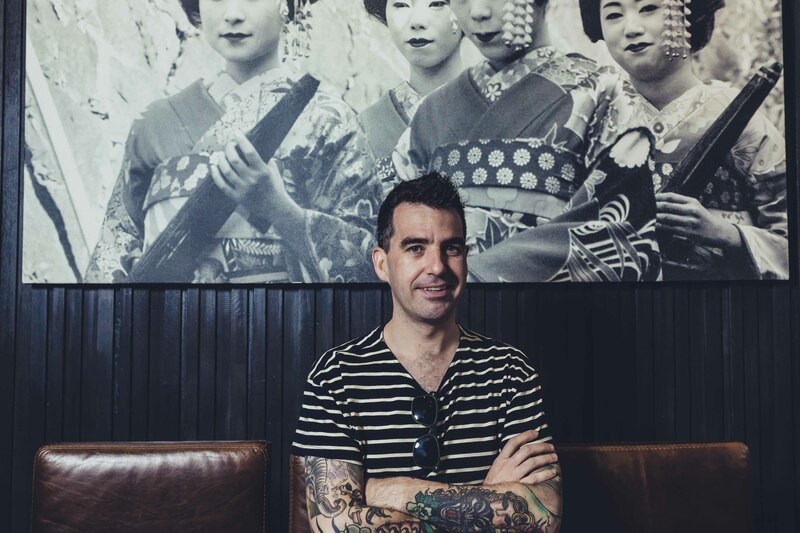 So after clocking two years at Tetsuya’s, the then 28-year-old boldly took on the role of head chef at Darley’s, a contemporary Australian restaurant ensconced amidst the verdant greenery of the Blue Mountains. The restaurant thrived under Aisbett’s leadership. 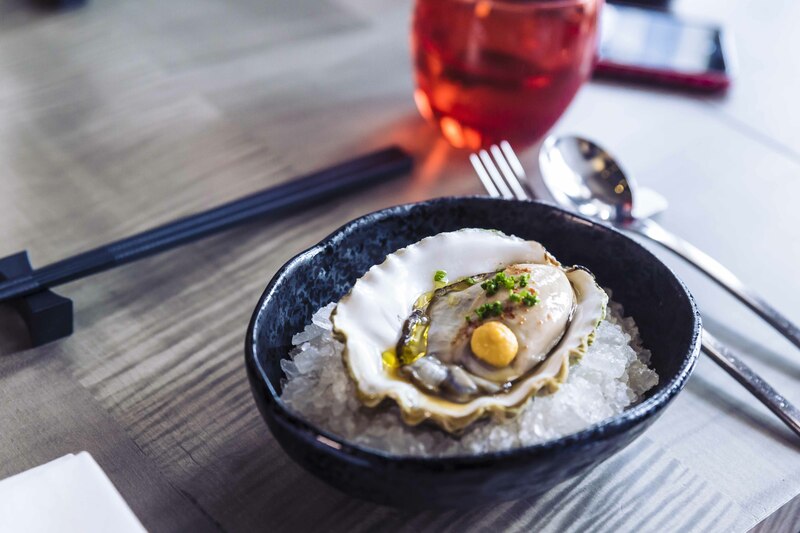 It attracted customers with inventive dishes such as red-braised quail breast, and marron with smoked bone marrow, and drew rave reviews from the Australian press. Darley’s focused on local produce obtained from the mountain region, which meant Aisbett often went foraging for herbs like chickweed and wood sorrel, and sourcing beef and fish from nearby farms. It all sounds very romantic and ahead of the curve, considering how farm-to-table produce only became a buzzword in recent years. But the reality wasn’t as appealing: While living in the mountains meant waking up to incredible views, it also meant being isolated from everything else. Save for retirees seeking a sanctuary away from the madding crowd, any 20-something urbanite would find such a locale rather dull. “I hated the Blue Mountains. It was cold and out of the way,” said Aisbett, who eventually left after nine months. The concept of boomeranging, or returning to a former employer, is almost like reconciling with an ex-lover. Depending on who you ask, it’s either a terrible idea (and career suicide), or an indication of undeniable chemistry — that both parties are destined to be together. Aisbett faced this conundrum in 2012, when Gilmore asked him to return to Quay and become its head chef. “I thought, ‘My gosh, to come back a third time?’ Before that, I had been talking to a few others about doing something together,” he said. “I felt maybe I shouldn’t come back… but I loved working with Peter. I would have been stupid to turn him down.” With that, Aisbett took up Gilmore’s offer and walked through the doors of Quay for the third time. 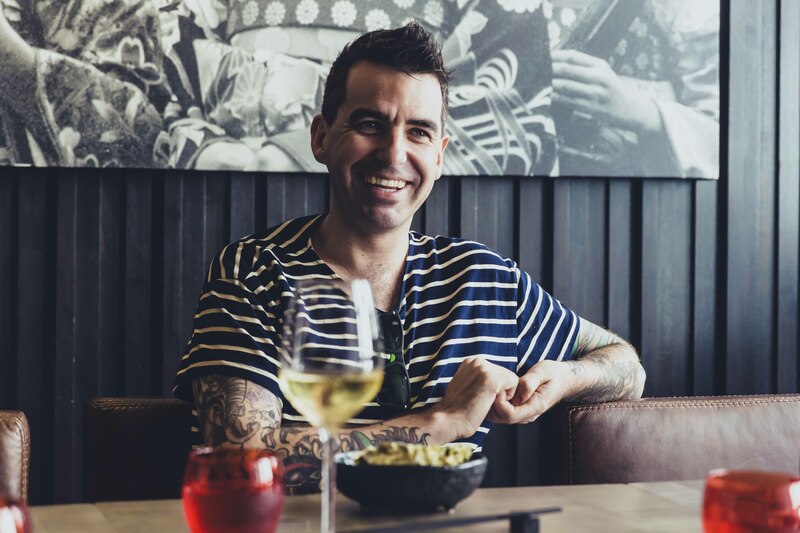 This relationship was indeed meant to be — under his guidance, Quay continued its streak of winning awards such as the coveted Restaurant of the Year title in The Sydney Morning Herald Good Food Guide 2014. Aisbett flourished too; as this new chapter saw him picking up managerial skills and heading a team of over 30 chefs. He was also second-in-command, as Gilmore was travelling most of the time. “He never had to worry about the restaurant. If there was ever a problem I’d just deal with it myself. I was running it as if it were my own,” said Aisbett. Aisbett remained at Quay for three years. But he never forgot his dream of helming his own eatery. 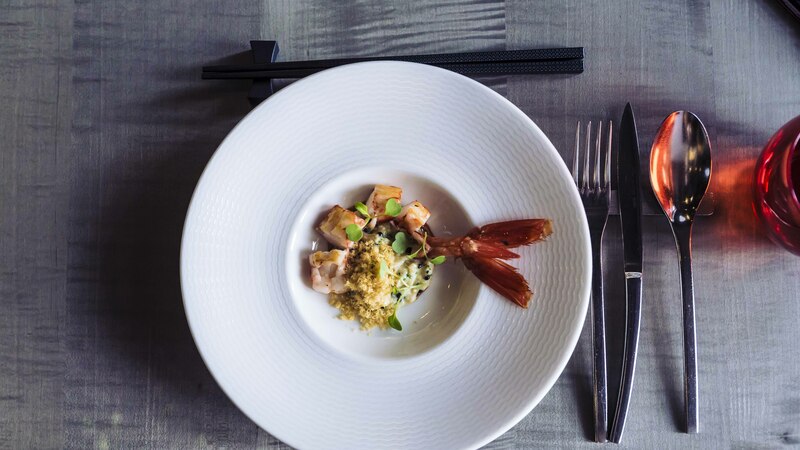 His opportunity arrived in 2015, when Sean H’ng, the owner of Macalister Mansion in Penang, contacted him and suggested they opened a fine dining restaurant together at Chijmes in Singapore. Whitegrass opened its doors in January the following year. The 70-seater eatery is a photogenic spot, with its pastel hues and whimsical wall murals. It offers an ever-evolving menu, presented in prix fixe sets. “I call my food modern Australian, because there are no boundaries and I cook everything,” said Aisbett. Fine dining often calls to mind white tablecloths, elaborate table settings and strict dress codes that frown on slippers or shorts. Which makes restaurants of its ilk seem rather intimidating and unapproachable for the average diner. Some fine dining eateries even have a no-child policy, as kids can be rowdy and disruptive. This isn’t the case at Whitegrass, though. 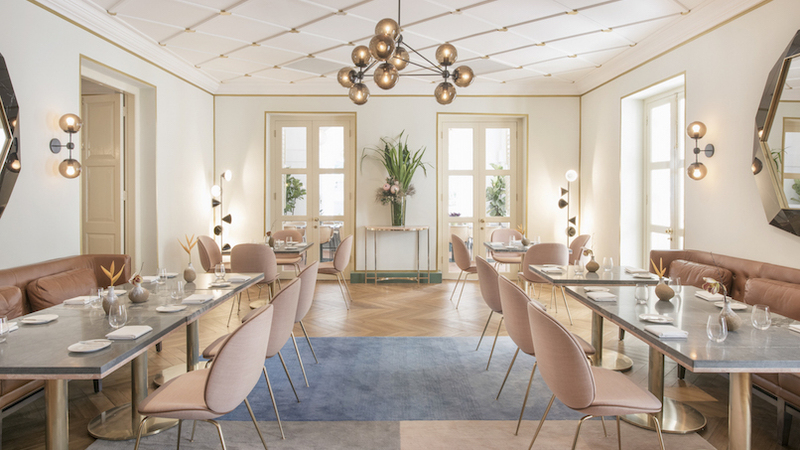 Aisbett’s vision was to make his establishment posh yet accessible — which means children are welcome and there’s no dress code. “There are no rules in my restaurant. If someone came in with no clothes on, I’d still serve him,” he said. Business got off to a rough start, though, as Aisbett found himself saddled with manpower issues — a common obstacle faced by most restaurants in Singapore. “There was once when it was just me and Diego (the head chef) in the kitchen. I did entrées and pastries, and he did all the main courses. Then we did the dishes together,” Aisbett recalled. Thankfully, he managed to hire more staff after a few months. And through word-of-mouth recommendations, his restaurant started filling up. For now, his priority is creating more inventive dishes. The current menu features concoctions such as beef with fermented black beans, and candied Japanese Mikan orange filled with lemon ice cream. During his free time, Aisbett enjoys travelling. His dream destination? The Borneo jungles, so he can “learn how the tribes cook and go hunting with them”. Another hobby is collecting skin art. He has an array of quirky tattoos across his arms and legs, and intends to get more. Goofy rests above the crook of his right arm, while whales swim across his left. His leg has a walrus dressed as a viking; and under his wrist is a bulldog. “My tattoos have no meaning. I just like them. I do research before going to an artist, but I let them do what they want. It’s like talking to a chef — if you tell them what to do, they can’t be creative,” he said. With most of his days spent in the kitchen, Aisbett rarely cooks at home and prefers eating out. His usual hangouts include modern European restaurant Cure, which he loves for its “great food and fun vibe“, and Cheek By Jowl — a one-Michelin-starred eatery. For local fare, he hits up Tiong Bahru Market for white carrot cake. His current favourite spot is Bam, which he adores for its food that merges Japanese and Spanish flavours. “The things here are just seasoned really well, with a lot of textures,” he said. Some of the dishes that caught his attention during our lunch included braised Canadian oysters bursting with briny and tangy flavours, thanks to the addition of kimchi and ponzu (“It’s got a little bit of acidity and saltiness, so it wakes up your palate.”) — and a medley of sweet Carabinero prawn, eggplant and shrimp floss. Equally memorable was a combination of green beans, ama ebi (sweet shrimp) and ponzu jelly, bedecked with uni. The latter was addictively indulgent, with its juxtaposition of crunchy beans against the silky, melt-in-the-mouth jelly and sea urchin. “This is amazing. When I first tried it, I couldn’t help but think it was something I would put on my own menu,” said Aisbett.